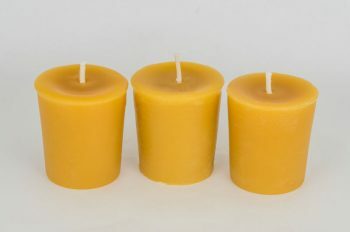 We offer our Beeswax Tea Light Candles in your choice of clear plastic or metal cups, helping you style your candle display as you like. Buy them singly or in packages of six, and think of them for your own use as well as for giving as gifts. Our tea light candles can be gift-given in a tulle pouch as a collection of candle joy, or they can be added to your own DIY gift collection. They are ideal presents when you want to give ‘just a little something,’ and as a larger collection, they make for an impressive gift when paired with lovely, decorative votive holders, mason jars and other display containers. 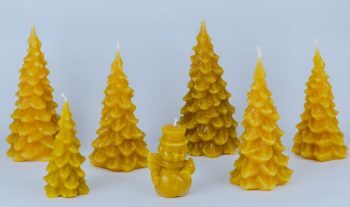 Our Beeswax Tea Light Candles provide a pretty glow for any calming moment or festive holiday or party décor display, providing that wonderful, natural beeswax scent and burning smokeless, dripless and long-lasting like all of our other natural beeswax candles. These dainty tealights are perfect for the prettiest votive candle holders and holiday tiered candle displays, as well as for table centerpieces. 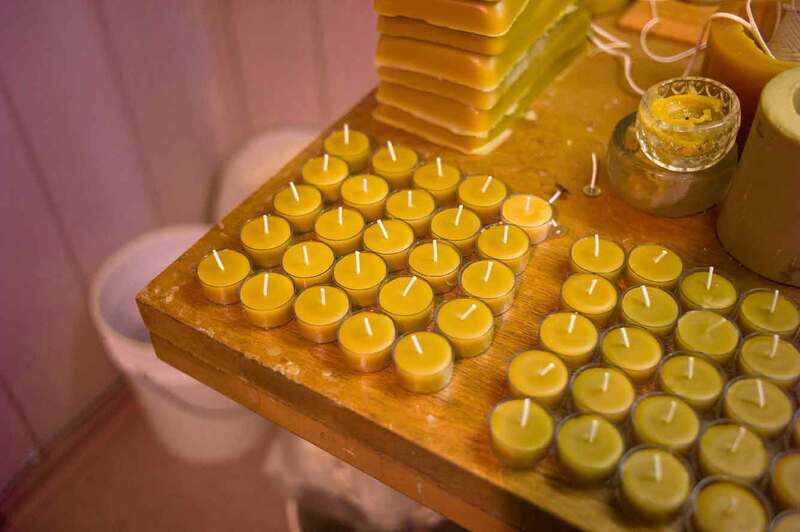 For indoor or outdoor use, our Beeswax Tea Light Candles give you the opportunity to set so many different tones – from festive to romantic to calming to inspiring. 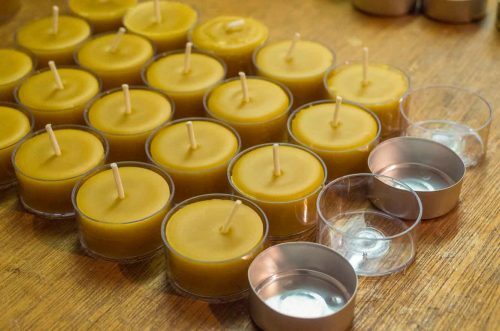 Many of our customers like to light these candles while meditating or while taking a relaxing bath, and many like to set a table for two (or twenty!) with our tea light candles lining the center of the table in trendy entertaining décor style. Order now or contact us with any questions you have about our Beeswax Tea Light Candles or any of our candles for your décor, gift, or personal uses. 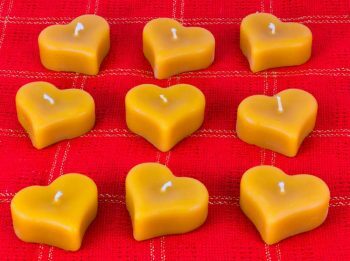 Always burn candles safely and responsibly, and keep children and pets away from lit flames.